In 1895, the architect Krasovsky designed Nicholas II’s private study on the 2nd floor in the Gothic style. He combined the former boudoir (182) and winter garden (181) rooms, retaining two of the open arches and enclosing the middle arch with a ceramic fireplace in 181. 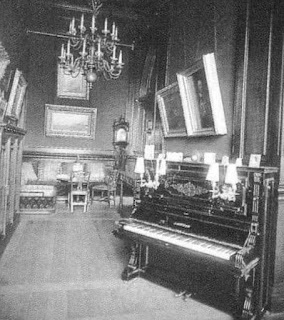 The room 182 contained a piano, bookcases and a large Ottoman divan. In February 1898, Empress Alexandra was ill for weeks with measles. 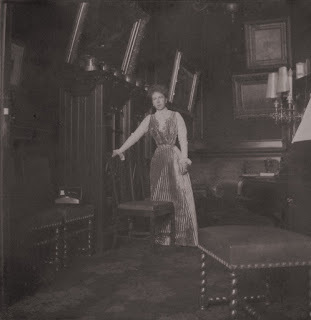 Do we know what happened to the divan? 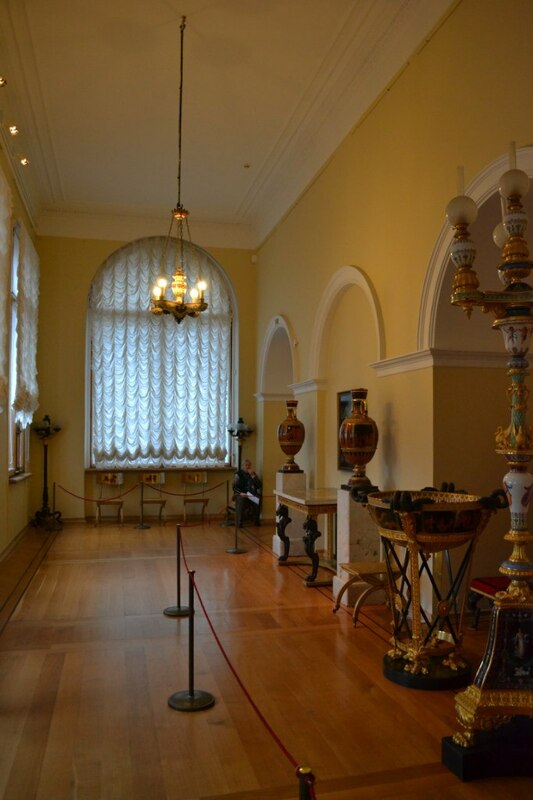 In 1926, the historical rooms of Nicholas II and Alexander II were closed. 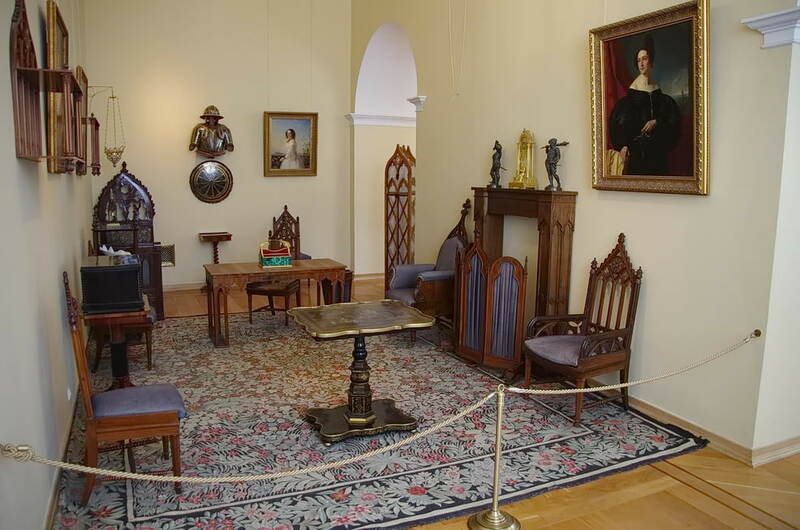 The Hermitage retained some furniture, sold others. It may be in the Hermitage Storage but I just don't know. 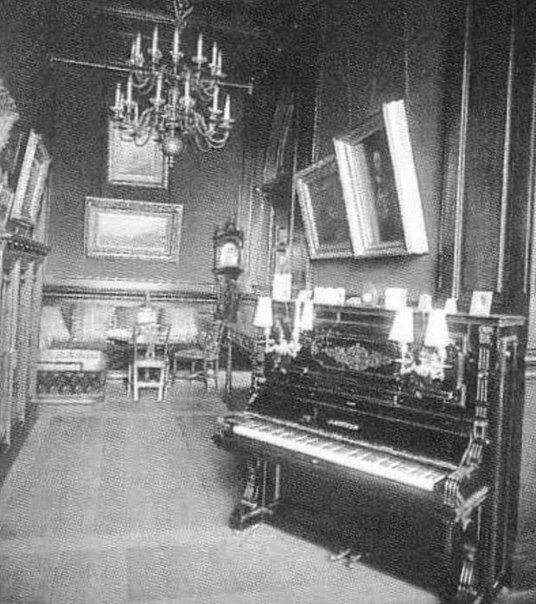 The divan that was in Nicholas' 181 is now in 177.